This is an in-depth look at theprinciples and tactics of golf croquet presented as a series of tacticalproblems and possible solutions to show how these principles can be appliedduring a game. As the title suggests, this book is all about tactics and does not discuss stroke play. 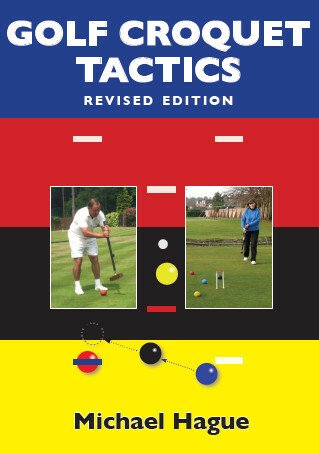 It is therefore aimed at players who know the rudiments of Golf Croquet but need to develop their tactics, so it’s not a beginners book. It covers: tactics,tactical problems and solutions, extra turns, giving away extra turns, teachingtactics. Author Michael Hague is a Golf Croquet Coach and referee.